Achieving over 70mpg in a full-size family car with a 2.0-litre diesel engine might seem like quite a feat – even if that car is made by Toyota, a manufacturer known for producing superbly efficient Toyota Optimal Drive engines. 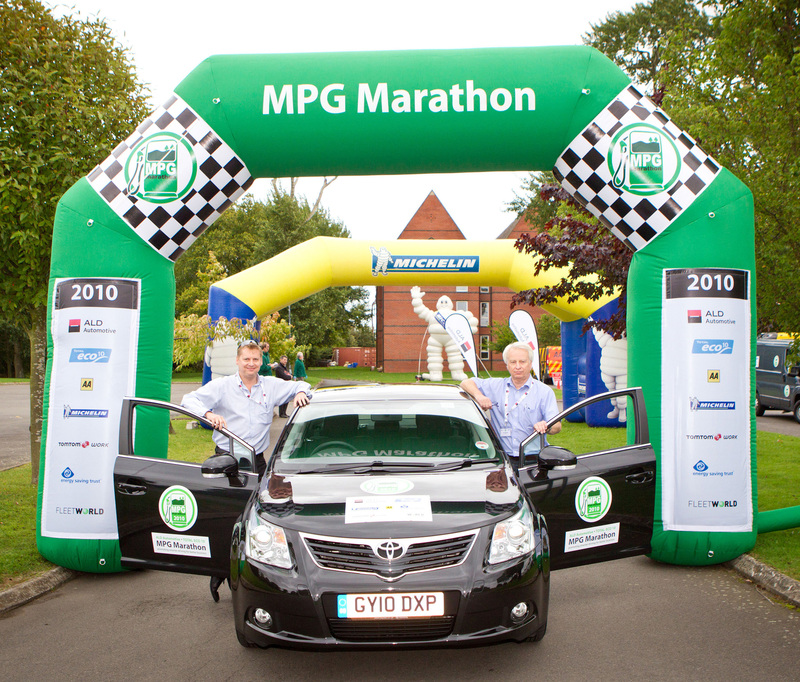 However, when David Crouch of Toyota GB’s Press & Public Affairs team (above left) took to the 399-mile, multi-county MPG Marathon route (below) in the Avensis D-4D saloon, he found driving economically a breeze. While the taking part is all very well, it’s the results we were looking forward to. It was a third consecutive year of success for Toyota at the MPG Marathon, with Avensis achieving a fantastic 74.35mpg – a 39.5% improvement on the official figure, placing the saloon in fourth place overall. In addition, it only missed out on the ‘Best in Class’ prize by mere millilitres, demonstrating just how much you can achieve – literally – by making small changes to your driving style. To see how we did in last year’s MPG Marathon, click here. If the Avensis was at its optimum, where was the Auris Hybrid then?